Crusading is a hard job! The very word “crusade” sounds exhausting, and makes us think of many long sleepless nights and tons of walking. Ick, no thanks! 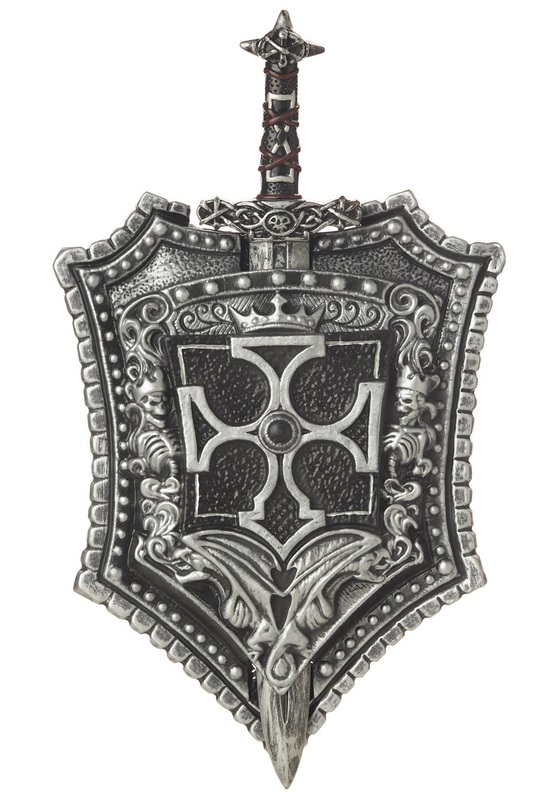 We don't know about you, but the only way we'd go on any kind of crusade is if there were plenty of cool weapons to carry around on the journey. Some nice armor and an intimidating uniform would also be help, but a vicious looking sword and shield are the real keys to victory! 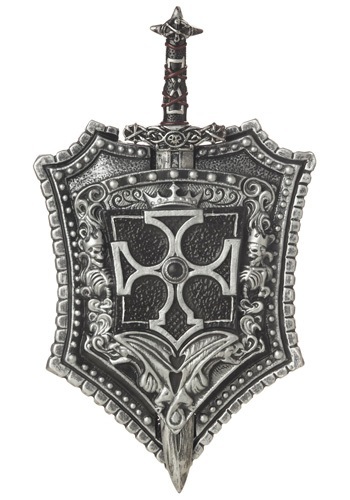 If you happen to be the costumed crusading type, we recommend grabbing this Crusader Shield and Sword set before you head out. The rustic, molded plastic shield looks sturdy and well-worn, like it has protected you through many battles, and the matching plastic sword can be stored in the shield when you're not engaging your foes. It will make a fine compliment to a medieval knight or barbarian warrior costume, and is sure to make all the hard work that goes into a crusade worth it! The shield and sword were a nice touch for the outfit I ordered. But, unless you plan on toting this all night long, I would suggest don't order it. Or get your pictures taken as early as possible posing with the props then put it away as I did. They are nice props, with the only issue the shield could've been larger. It seemed more of a kid's shield than an adult's. But it was light to tote around and the Velcro straps were nice touch to adjust the width to put your arm through. But now that I have the props, at least I can borrow the whole ensemble if someone asks to borrow it.